Dublin Borough's contracted residential trash hauler is Waste Management. For TRASH and RECYCLING information, including YARD WASTE, Click here. 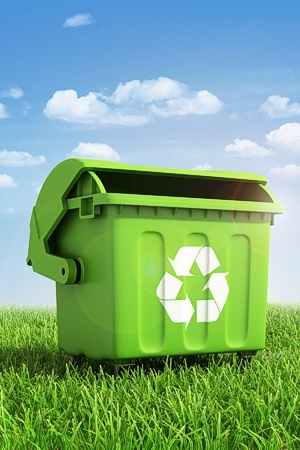 A handy guide for the DO'S and DONT'S of what can be recycled., Click here . To contact Waste Management 800-328-1717. Please notify them you are a Dublin Borough municipal contract resident when calling. Please contact the Borough if you need a new waste can at 215 249-3310. For Residential Electronics recycling here. For Business Electronics recycling here. To view the flyer with the Hazardous Waste collection dates, times, locations and additional information, Click here. To view the flyer for televison disposal and ecycling, Click here. 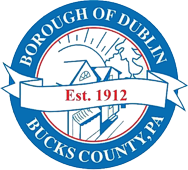 For information and resources from Bucks County, Click here. Because there is a small amount of mercury in CFLs, residents are encouraged to recycle them to prevent mercury from going into landfills. The Borough does not offer recycling for CFL light bulbs, but Home Depot and Lowe’s stores all accept CFLs. Visit www.earth911.org to identify other local recycling locations. If there are no recycling centers near you and you must put your CFL in the garbage, seal the CFL in two plastic bags. CFLs should not be disposed of in an incinerator.